Municipal Solid Waste, which originates from stores, businesses or homes, etc. Bulky Waste, including construction and demolition debris (“C&D”), tires, trees, appliances, etc. Vegetative Waste, produced by farms, nurseries, and crop residues such as leaves. Septic Tank Cleanout Waste, pumped out of cesspools and septic tanks. Incinerator Ash, including incinerator ash containing solid waste. Processing Waste, from processing plants, packing plants, etc. Dry or Liquid Sludge, which is generated by sewage treatment plants. Asbestos/Asbestos Containing Waste, which is a separate subcategory of dry industrial waste. Next, solid waste haulers need to determine whether or not they are “self-generators,” which carries far less stringent requirements than those which transport solid waste for others. Transporters transporting their own waste are not required to go through the A-901 application process with the New Jersey Department of Environmental Protection. This includes people transporting their own household garbage. This also includes businesses transporting their own waste, such as a construction contractor with its own garbage container. However, if that contractor allows any garbage to be placed in its container it has not generated the waste itself (ie., “self-generated”), and so it loses its status as a “self-generator.” This means that if there are multiple contractors on the job the contractor can only allow its own employees to use the compactor. If anyone who is not an employee of the company puts any waste into the container the contractor is no longer a “self-generator” and is fully subject to registration and regulatory requirements of the New Jersey Department of Environmental Protection as a solid waste transporter. A self-generator is required to file a registration statement and obtain decals which it must display on any vehicles transporting solid waste, but is largely exempt from the New Jersey Department of Environmental Protection’s other regulatory requirements. Decals are obtained from the DEP. The application must be submitted with an affidavit demonstrating that the hauler meets the requirements for the exemption. A transporter is not regulated if it drives through New Jersey from one state to another, and does not “stopover,” drop off waste, switch containers, collect or dispose of solid waste within the state. Governmental entities are also exempt from regulation. Finally, you need to determine your company’s requirements and make sure that you are following them. 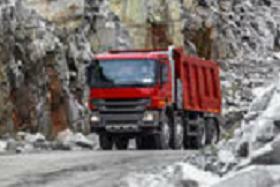 If you are a solid waste transporter you need to do the following. First, the hauler must file an A-901 disclosure package and application with the New Jersey Attorney General’s A-901 Unit. This is part of the New Jersey Department of Law and Public Safety. The application is quite lengthy, and omitting or misstating anything on the application can have severe consequences. The Attorney General’s office and New Jersey State Police will then conduct an intensive background investigation. The reason the application and investigation are so complicated is that New Jersey wants to ensure that the hauler has no ties to organized crime, which had been a problem in years past. If the background investigation is successful and the A-901 application is approved, the hauler must then obtain a Certificate of Public Convenience and Necessity (“CPCN”), which is a separate application process with the New Jersey Department of Environmental Protection’s Economic Regulation Office. After the CPCN has been received, the hauler must apply to the DEP’s Licensing and Registration Unit to obtain decals for the hauler’s vehicles, containers and compactors. Our attorneys guide solid waste companies through the application and registration process with the New Jersey Department of Environmental Protection and the New Jersey Attorney General’s Office, including completing the application and training requirements. Call us at (973) 890-0004.